IP finance: Microsoft v Samsung: would a pre-nup have helped? At the start of this month it emerged that Microsoft and Samsung are embroiled in a dispute over royalty fees relating to Android patent and here are some reflections on this [on which see, eg, The Telegraph and Ars Technica]. 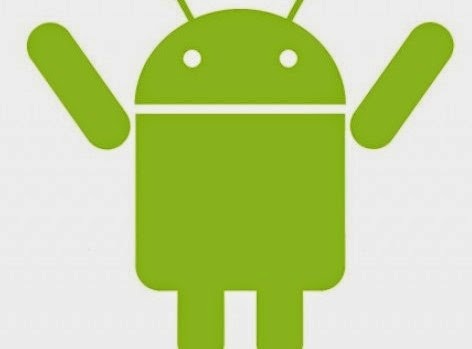 The background is that in September 2011 Microsoft and Samsung entered into a cross-licence agreement; Samsung agreed to pay Microsoft royalties on Android-based devices in return for having access to patents relating to the Android OS. Samsung paid the first royalty in 2012, but blocked a second payment for the 2013 royalty after learning of Microsoft’s deal to take over the Nokia handsets business in September 2013. Samsung did eventually pay the royalty in November 2013 but Microsoft claims that Samsung still owes it money for the interest accrued during the period of non-payment. Samsung is also refusing to pay future royalties. Samsung claims that the Nokia acquisition breaches the terms of the agreement with Microsoft and that the contract is thus void. If this is the case, Samsung is not required to pay Microsoft the royalties agreed to in the contract and, since Microsoft will not then be entitled to use the technology underpinned by the Samsung patents, Samsung is threatening Microsoft with proceedings for patent infringement. ... but disconnecting Microsoft and Samsung? Naturally [but disappointingly for those of us who love reading these details ...], only a redacted version of the agreement is publicly available. However, on review of the facts available, it seems Samsung’s action may have portrayed an unconvincing position as to the strength of its case: first refusing to pay the royalty, then changing its mind and paying late, then refusing to pay further royalties. Samsung has also asked the Korean competition authorities to change the private contract between the parties so that the royalty payments to Microsoft are reduced or eliminated. If the terms of an agreement have been breached, attempting to convert a US commercial contract dispute into a Korean regulatory issue seems like a surprising approach. Looking beyond this particular element of dispute, it is not clear what the endgame will be. If Samsung wins, the agreement will be terminated; if Microsoft wins, the outcome may well be the same, as it would be surprising if Microsoft had not inserted a termination clause to cover non-payment of a royalty. In either situation, Samsung may well be faced with renegotiating terms for a new licence which are unlikely to be more favourable than the ones in the original. Alternatively, a patent battle may erupt. Either way, it seems there is plenty of ammunition to fight this out to the bitter end and, with the publicity, neither party is going to want to lose face. This case reinforces how important it is, when negotiating a licensing deal, to bear in mind that a seemingly friendly relationship may rapidly turn sour when circumstances change: Microsoft and Samsung had a long history of collaboration. Thinking cynically and creatively about the possible ways in which the commercial situation may shift from what both parties may well have sincerely intended at the time of the agreement is helpful. Parallels with pre-nuptial agreements can be drawn. Watch this space for the next round.